Prices and sales continue to rise in affluent neighborhoods, but decrease or remain flat in others. 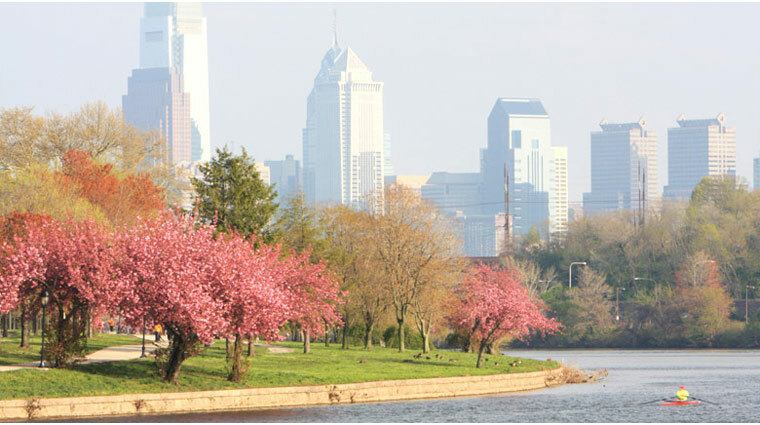 April 14, 2014: Although it has been two years since Philadelphia house prices hit their post-recession bottom, its recovery has not only proceeded in fits and starts, but has also been unevenly—and inequitably—spread across the City’s neighborhoods. The latest stats continue to confirm this trend, indicating improved market conditions in either relatively high-income or gentrifying areas, but continued stagnation or even decline in the rest of the City. The average house value in Philadelphia declined by 4% in Q1, according to the latest data from the City’s Recorder of Deeds. However, this citywide average blends price increases in some neighborhoods with price decreases in others. House prices generally increased in Philadelphia’s more affluent or revitalizing neighborhoods, but fell in most remaining parts of the City, with the poorest neighborhoods experiencing the largest declines. From smallest to largest, the average change in house prices by neighborhood in Q1 were: West Philadelphia (-17.5%), North Philadelphia (-12.9%), Kensington/Frankford (-6.1%), Upper Northeast Philadelphia (-5.9%), Lower Northeast Philadelphia (-5.7%), Northwest Philadelphia (-2.2%), South Philadelphia (+2.5%), University City (+2.7%) and Center City/Fairmount (+6.8%). The median house price in Philadelphia fell to $110,000 in Q1, a 13% decrease from $127,000 in the previous quarter. Home sales volume continued to increase this past quarter on a seasonally-adjusted basis, although activity remains relatively skewed towards the higher-priced vicinities of the City. There were 3,148 arms-length transactions in Q1, up from 2,849 a year ago and up from 2,503 in their post-recession low three years ago. While sales activity is trending positively, overall volume still remains below its historic average of approximately 3,800 sales per quarter. Notably, however, sales of million-dollar homes continue to run well above their historic average, providing further evidence that Philadelphia’s housing recovery remains skewed towards the upper segment of the market. Although price changes remain varied across neighborhoods, this quarter’s citywide average decline has returned Philadelphia’s house price index to near its post-recession low of two years ago. Currently, the index has a value of 375.4, which is only slightly above its value of 372.0 in 2012 Q2. Inventories of homes listed for sale also continued their decline in Q1. Currently, there are 6,798 homes listed for sale in the city, which is very close to the pre-bubble historic average of approximately 6,000, and down significantly from its peak of over 12,000 back in 2006. This decline in surplus inventory combined with the upward trend in sales activity should provide some optimism that supply and demand are continuing to move towards being back in balance with each other. To what extent this quarter’s mixed numbers may be attributable to the adverse effects of an exceptionally cold polar vortex-induced winter is unclear. However, while some neighborhoods in Philadelphia appear to be in full resurgence, the lack of citywide price appreciation stands in marked contrast to those of most other U.S. cities. According to Case-Shiller’s house price indices for the twenty largest U.S. cities, price recovery remains strong and steady in most other cities, compared to Philadelphia’s variance and unevenness. That Philadelphia’s recovery will continue in this way for the near future is supported by the most recent house price forecast from Zillow, which is projecting Philadelphia’s house prices to rise only 1.3% over the course of the next twelve months, while forecasting a 3% increase for the U.S. as a whole. Looking to buy a newly constructed, modern and spacious home? Located on the 2500 block of Sepviva Street these homes offer a great space for newly weds, families or anyone looking for a custome luxury home at a great price. Offering black brick facade, 9′ ceilings, finished basement, hardwood floors, stainless steel appliances, granite countertops, a large yard and more. Check out the renderings. We like the look of these modern homes and the neighborhood is convenient to everything the City has to offer. Starting at $315,000 these are priced competitively on the market in a growing area of north Philadelphia. Want more information? Contact Larry at LiveLovePhilly for further details. Back in 2006, this used to be one of the only massive, relatively inexpensive places to buy art supplies in Center City. Of course you had your smaller stores including the school book store and Utrecht but these didn’t compare to the three floors packed with art supplies at Pearl. Well a couple years later, Pearl closed their doors for good while Utrecht expanded and Blick made their way to Center City. The old Pearl building that sits at 4th and South in the Queen Village neighborhood, has remained unoccupied since then. Years of discussion and talk of what this could be and finally some creative ideas have surfaced. The plan is for this space to be converted into art studios. Including retail space, ground floor gallery and a roof top entertainment area. Studios would be rented monthly at $250 and offered a space for gallery showings. Plans are to open this Summer 2014. Although a new designed facade and interiors will not be present until 2015. Considering the rise of art programs, schools and encouraged creative thinking, this was a smart move. We’re happy to see a creative, community learning space come to South Street. Need A Faster Way to Travel Around Philadelphia? Hop on a Bike! Coming Fall 2014 you will start to see many more bikes traveling these city streets. The city has committed millions of dollars in capital funds to this Bike Share project that may have you rethink how you get around. Their goal is to implement the Bike Share in zones of Center City and surrounding neighborhoods. When the project is at completion they hope to see between 150-200 Bike Share stations docking nearing 1,500 bikes. Bike Share will be prominent in neighborhoods such as Bella Vista, Queen Village, Passyunk Square, South Philadelphia, West Philadelphia, Temple University all the way to the Navy Yard. At the most recent Bella Vista Neighbors Association meeting, this was discussed in great detail by the Mayors Office of Transportation and Utilities as Bella Vista would have a Bike Share station implemented. The Bike Share program wouldn’t be for your everyday bike rider. This program would be targeted at students, tourists, anyone who does not own a bike. This would become one more option of transportation similar to jumping on the bus or walking. Yearly and monthly memberships will be offered. They price comparable to other major cities with Bike Share options. A single ride could be bought for under $10. These bikes will be large, heavy and uniquely designed for Bike Share. They will be three-speed and made with hard to replace parts hoping to deter theft. Philadelphia will become the 37th city to offer a Bike Share program. As a non-bike rider living in Center City Philadelphia (for reasons of erratic Philly drivers) I am still excited to see this change come to the city as it promotes outdoor, physical activity. Although, I would consider making one change and make the helmet policy mandatory. 9th Street Italian Market Soon to Expand.. We Hope! Years ago you would be able to find curbside stands along portions of 2nd, 4th, 7th and 9th Streets. Today, the little section on South 9th Street is what we have coined the ‘Italian Market‘. Even so, only half of the 160 stands are currently occupied. Restrictions on what and who can sell have remained in tact for years by the city of Philadelphia. Finally a shed of light! Last month, a new legislation passed by City Council would transfer the management and rental duties from the city over to the South 9th Street Business Association. The overall look of 9th street wouldn’t change much, but who could rent and what could be sold will bring more diversity, youth and money. The wheeled curbside carts will remain a requirement to these street vendors. Vendors who currently own carts will be able to keep them while restrictions on the limit you may own has been lifted. The annual rent per stand will remain the same at $300 per year. Applications will be reviewed by a volunteer committee and determined on variety and quality. They will be viewed on a first come- first serve basis. This change hopes to vitalize South Philadelphia and the Italian Market and how our community can thrive with local goods. If the Italian Market starts booming with craft and art vendors, you’ll find me there on the weekends. I mean what’s better than handmade art and fresh pasta? !